Electronic Records n. ~ Data or information that has been captured and fixed for storage and manipulation in an automated system and that requires the use of the system to render it intelligible by a person. Notes: 'Electronic records' can encompass both analog and digital information formats, although the term principally connotes information stored in digital computer systems. 'Electronic records' most often refers to records created in electronic format (born digital) but is sometimes used to describe scans of records in other formats (reborn digital or born analog). Blog | Digital Preservation Matters: This blog contains information related to digital preservation, long term access, digital archiving, digital curation, institutional repositories, and digital or electronic records management. 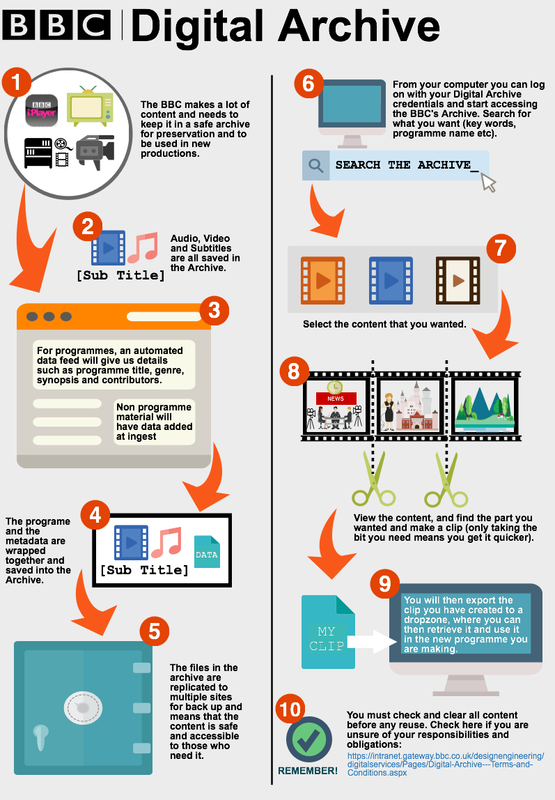 Tool | Digital Preservation Management Tutorial Modules: The tutorial will introduce you to the basic tenets of digital preservation. It is particularly geared toward librarians, archivists, curators, managers, and technical specialists. Tool | Sharing Storage Solutions: This website provides information and tools so that institutions of all types, sizes and resource levels can learn how to create safe and appropriate storage solutions. Tool | Video Preservation: The purpose of this site is to encourage the preservation of historic video using the mature technology of digital capture. Tool | Community Owned digital Preservation Tool Registry (COPTR): COPTR is collating the knowledge of the digital preservation community on preservation tools in one place. Tool | DRAMBORA (Digital Repository Audit Method Based On Risk Assessment) originated as a paper-based methodology for helping repository managers to develop a documented understanding of the risks they face, expressed in terms of probability and potential impact. Tool | JHOVE is a file format identification, validation and characterisation tool. Tool | IrfanView is a fast, compact and innovative FREEWARE (for non-commercial use) graphic viewer for Windows XP, Vista, 7, 8 and 10. Tool | MediaInfo is a convenient unified display of the most relevant technical and tag data for video and audio files. Tool | BWF MetaEdit was developed by the Federal Agencies Digitization Guidelines Initiative (FADGI) supported by AudioVisual Preservation Solutions. Tool | VirtualBox is a powerful x86 and AMD64/Intel64 virtualization product for enterprise as well as home use. Tool | HxD is a carefully designed and fast hex editor which, additionally to raw disk editing and modifying of main memory (RAM), handles files of any size. Tool | Archive-It is a subscription web archiving service from the Internet Archive that helps organizations to harvest, build, and preserve collections of digital content. Tool | WayBack Machine: a digital library of Internet sites and other cultural artifacts in digital form. Tool | Webrecorder is a web archiving service anyone can use for free to save web pages. Making a capture is as easy as browsing a page like you normally would. It automatically archives the page, along with any additional content triggered by interactions. For more information on Electronic Records Management prior to Archival processes, please see the Records Information Management section of our Resources Page.